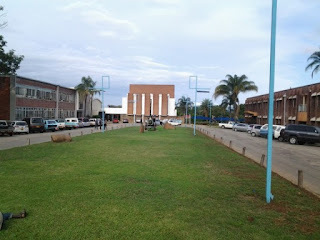 Following the government’s directive to rationalise salaries and allowances for senior managers in 2015, the Masvingo City Council complied and cut the salaries of its senior management team who have now taken legal action against the local authority filing a lawsuit of over US$618 000 in back pay. The council managers were against the directive to have their salaries cut without their consent and through their lawyers from Bhunu and Associates Legal Practitioners, they gave the local authority a seven day ultimatum to reinstate the salaries or square off in court. A letter from the managers’ lawyers dated November 28, 2018 was read out to council by Town Clerk Adolf Gusha in which the details of the case were highlighted. Council had been asked to rescind the 2015 resolution on salary rationalisation for senior managers and reinstate their salaries and allowances prevailing as at May 31, 2015, backdated to June 2015. Council minutes dated December 3, 2018 say that the City Council is trying to negotiate with the managers for an out of court settlement since the local authority cannot afford the cost of suit. “The house agreed that it would need the guidance from the Minister of Local Government, Public Works and National Housing on the matter. “Council noted that there was a court ruling on an equally similar case between the Bindura Municipality and its senior managers, wherein the courts ruled that the rationalisation was illegal and council should reinstate the remuneration. “It was however felt that the council should engage the affected senior managers with a view to avoid the case spilling into the courts of law,” reads part of the minutes. The council pleaded with the lawyers of the managers to have a grace period extended to 21 days as they try to negotiate a deal. “The members were of the view that council would lose more funds if it tried to defend the case in court, instead the council should try to find an amicable solution to the problem,” read the minutes.